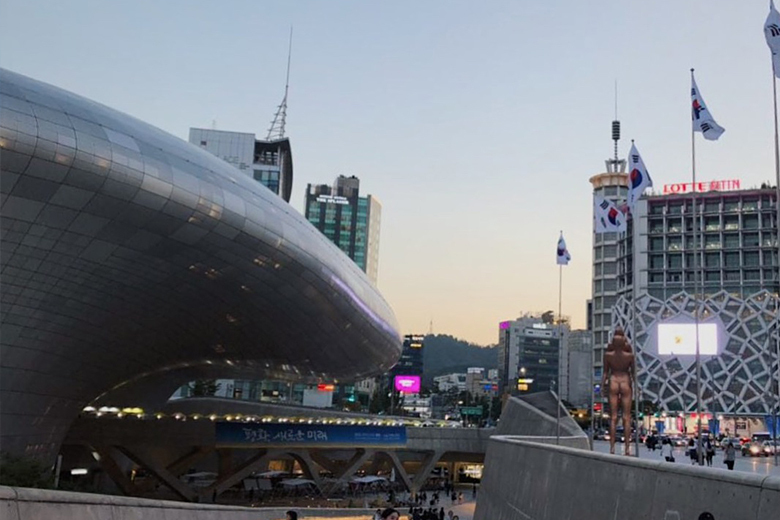 With endless delicious street food, shopping districts and vibrant night life, Seoul is inarguably one of the most popular cities to visit in Asia. 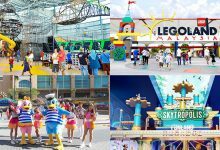 The city had over 12.4 million foreign visitors in 2017 and was reported to be in the top 10 most visited in the world. 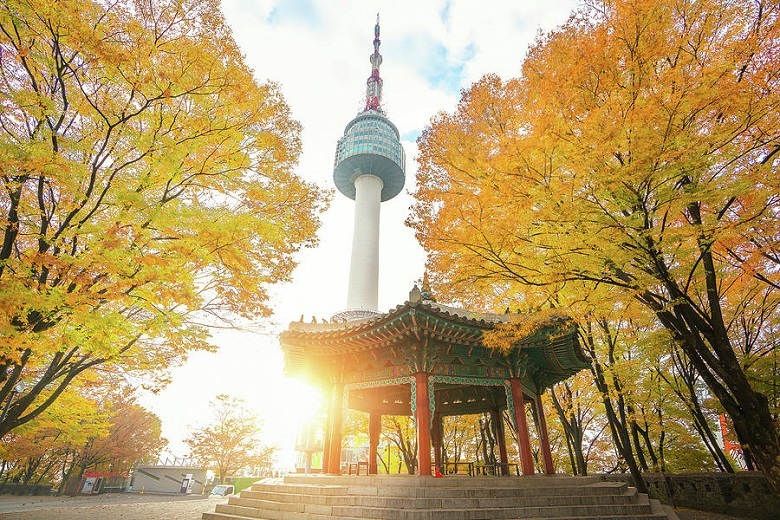 Although Seoul is one of the most expensive travel destinations in Asia, it didn’t stop people from traveling to this city despite its higher cost of living. 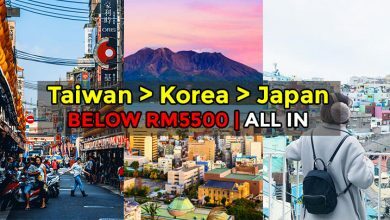 That’s probably because there are many things one can do in Seoul without spending a dime, if not less than RM34. 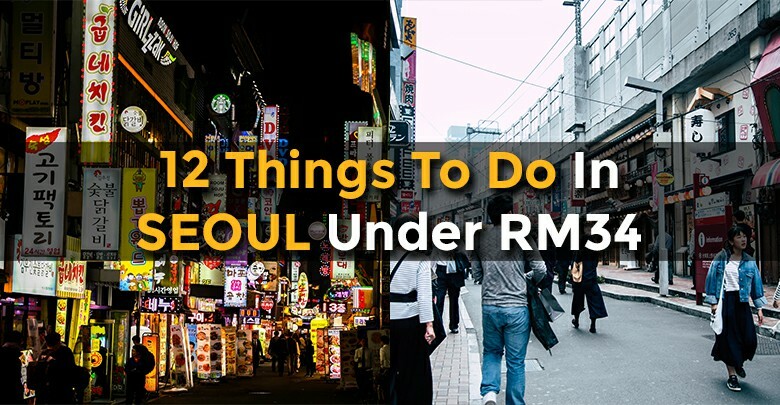 That being said, here are 12 Awesome Things To Do In Seoul Under RM34 (or free). 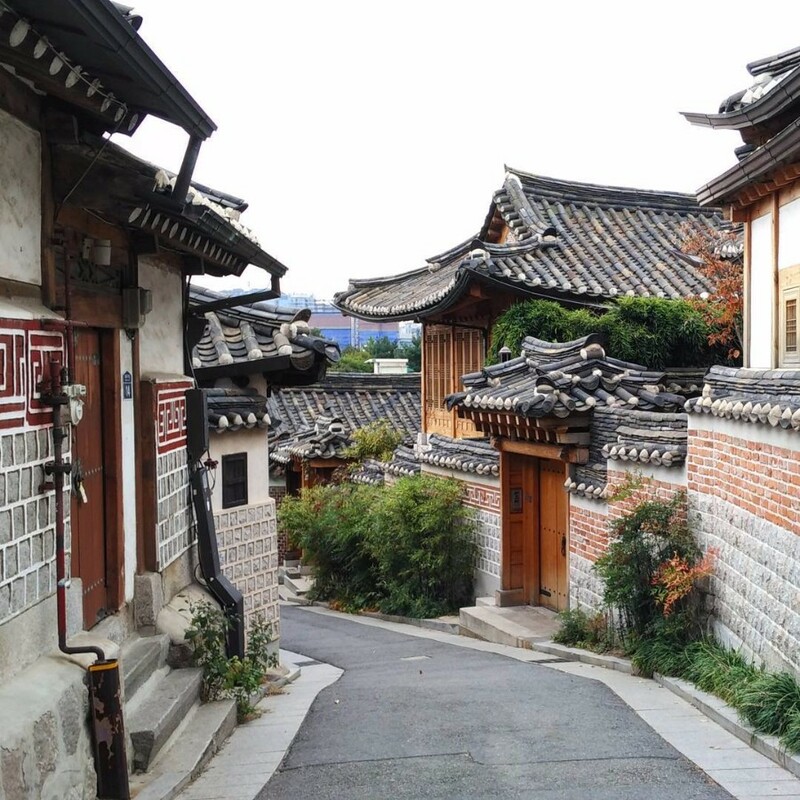 Bukchon Hanok Village is an old village where you can find Korean traditional houses which was built over 600 years ago. 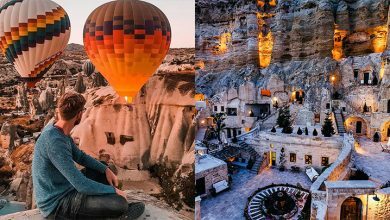 To-date, the houses are still well preserved and it has become a popular spot where tourists and local alike come here to take Instagram photos. Despite it has become quite touristy, it’s still a stunning place to stroll around and enjoy the older site of Seoul. But do keep your voice down as some of the houses are still private residences. 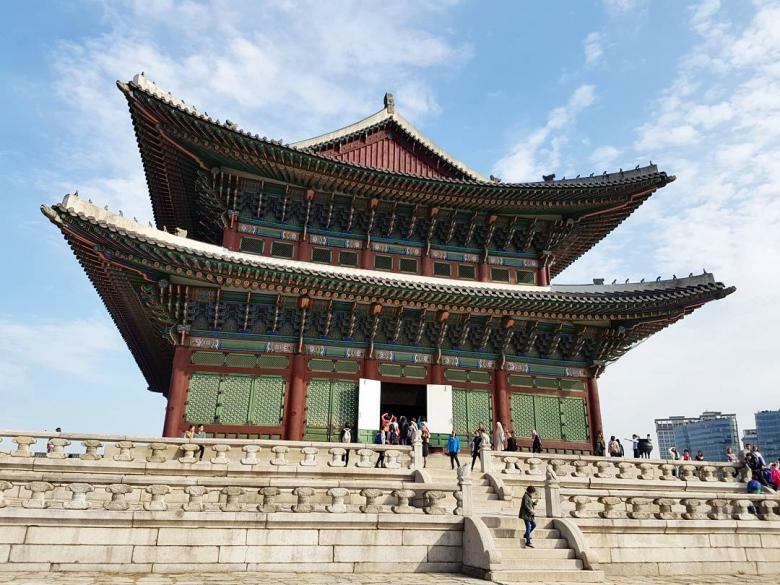 Although there are 5 palaces within Seoul, Gyeongbokgung Palace came highly recommended by online reviews as it is the most massive and glamours among the all. Constructed at the every end of 14th century, the palace was badly damaged but was saved and beautifully restored to now become a popular heritage landmark. An audio commentary and a free guided tour (at 11AM, 1.30PM and 3.30PM) are available to learn more about this palace. 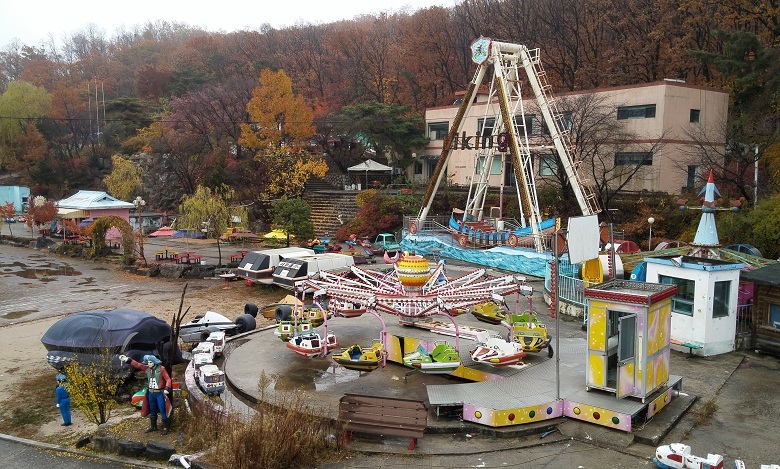 Yongma Land is a small abandoned theme park located on the outskirts of Seoul. The theme park was opened in 1983 but closed down later in 2011 due to low profits. 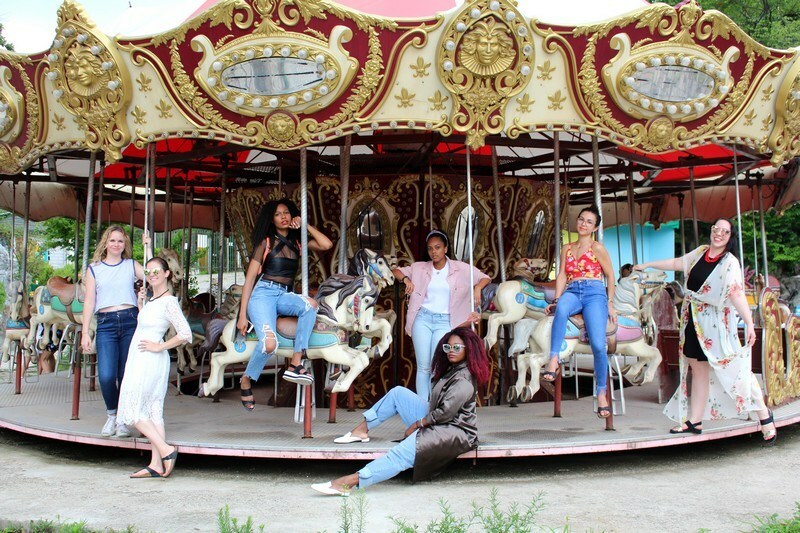 The rides has been run down and rusting for years, giving the theme park an eerie feel. But ever since the park started to appear in K-pop videos and dramas, Yongma Land has became a popular spot for photo shoots. Seoul has many popular cherry blossom spots, but the most visited spots among tourists and locals alike is Yeouido Hangang Park. 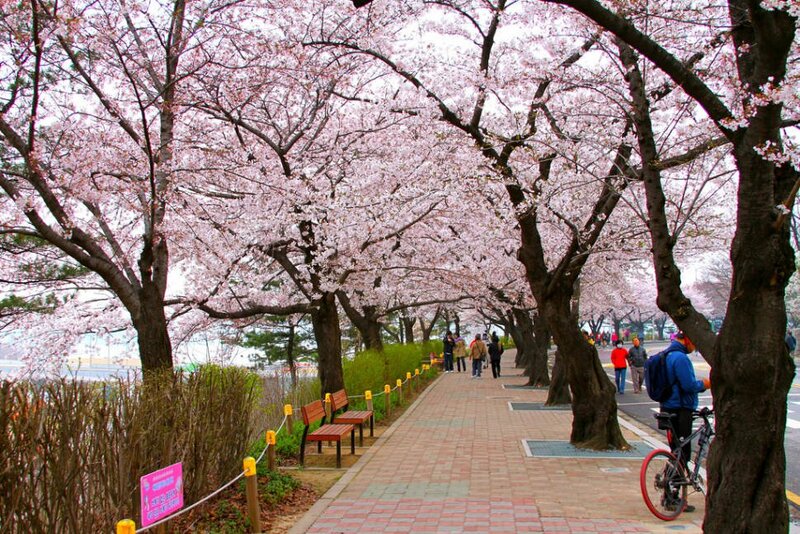 This place is well known for having the prettiest cherry blossom street in Seoul. Even if you’re not here during the cheery blossom season, you can chill and relax at the field overlooking the city skyline of Seoul, or go cycling around the park while enjoying the refreshing breeze. If you want to enjoy a panoramic view of Seoul, this is the place to be at. 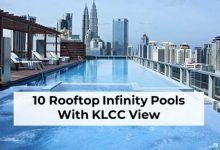 Similar to Menara KL Tower, the building was built as a communication tower and is now a tourist destination. 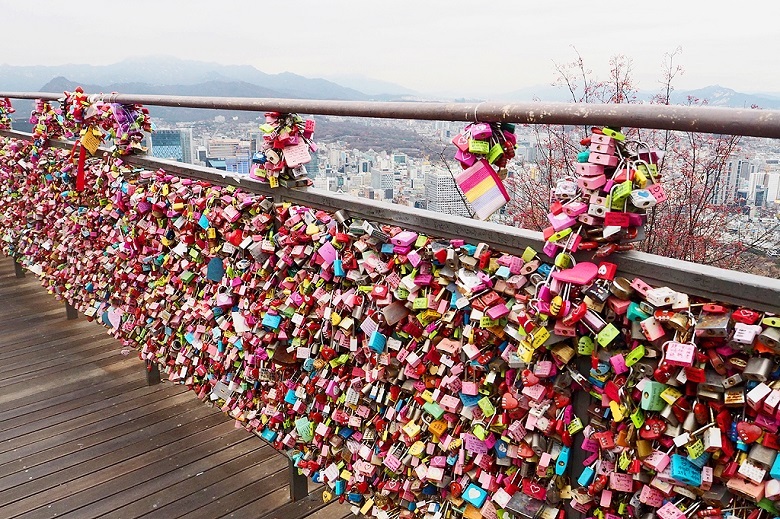 The observation deck at the top offers the amazing views of Seoul. 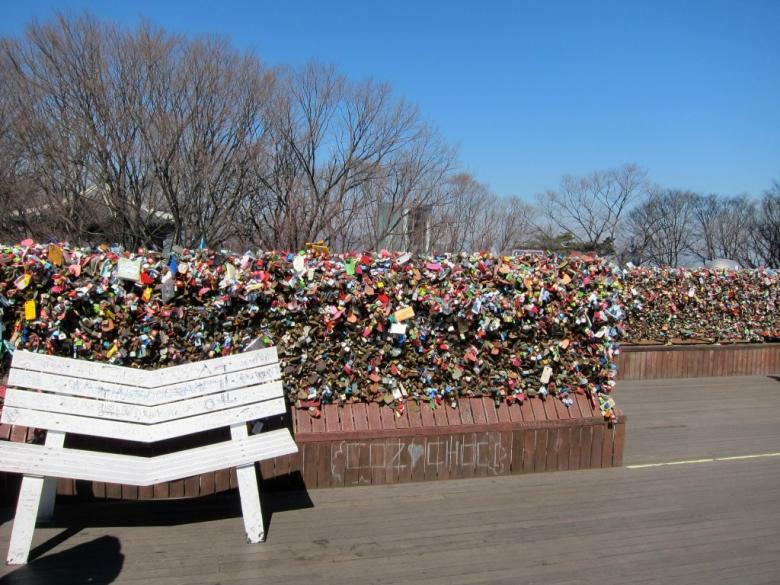 On top of that, it has also become a “love lock” location where you and your loved one can hang your love lock as a symbol of love. 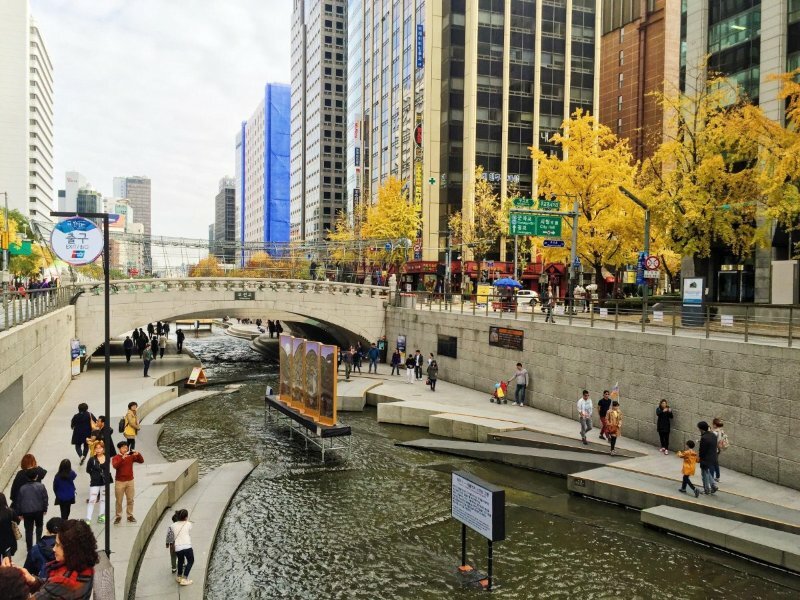 The Cheonggye stream, or Cheonggyecheon (to the locals) is a 11KM modern public recreation space in downtown Seoul. Many people enjoy coming here for a leisure stroll during the evening. 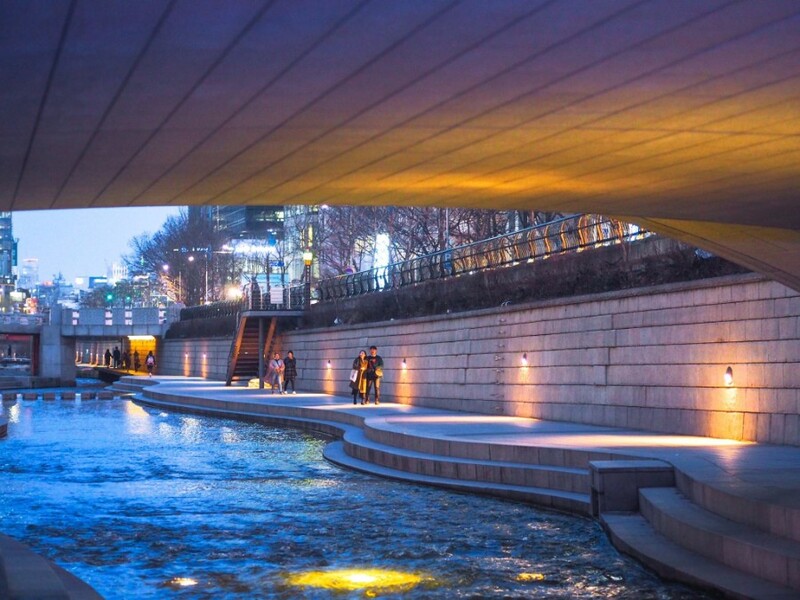 The stream is surrounded by various attractions such as Deoksugung Palace, Seoul Plaza, the Sejong Center, Insa-dong Street, the Changdeokgung Palace, and the Changgyeonggung Palace. 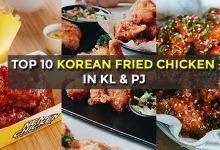 Seoul’s Hongdae district which is the area around Hongik University is known for its abundance of bars, cafes, art galleries and music venues. 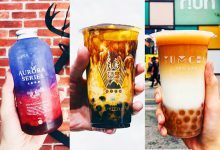 On the day time, Hongdae is a perfect spot for strolling, dining, grab a coffee, and shopping for indie clothing brands. 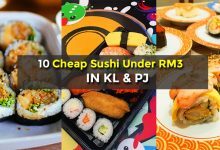 Due to being a University neighborhood, some restaurant are pretty affordable to cater to the students. 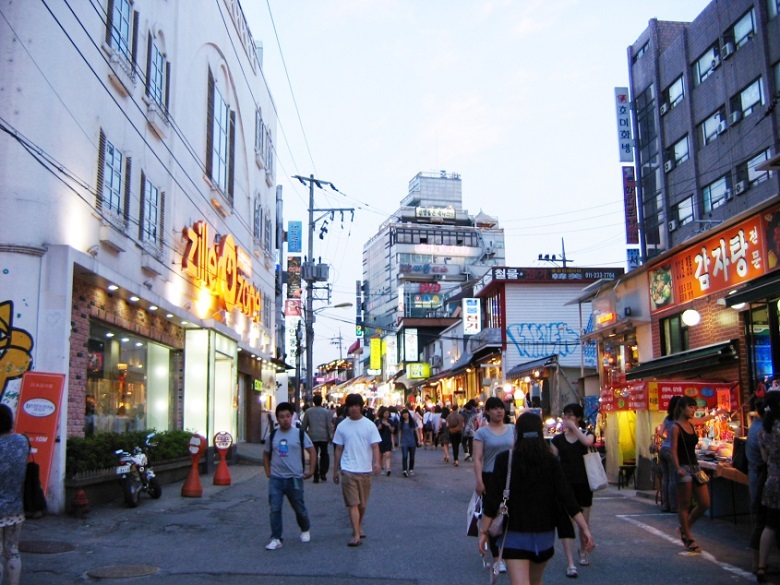 At night, the neighborhood of Hongdae turn into an edgy nightlife destinations. Some of the city’s biggest bars and nightclubs are located in the area. For those who enjoy art and mural painting, Ihwa Mural Village is the place to be. 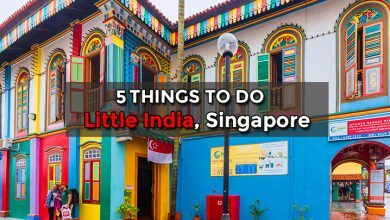 This street art filled village is filled with arts by over 60 artists, splashed across walls, stairways and houses, as well as metal sculptures. Dongdaemun Design Plaza or DDP is an ultramodern structure where most fashion, cultural, and design exhibitions are organised here. 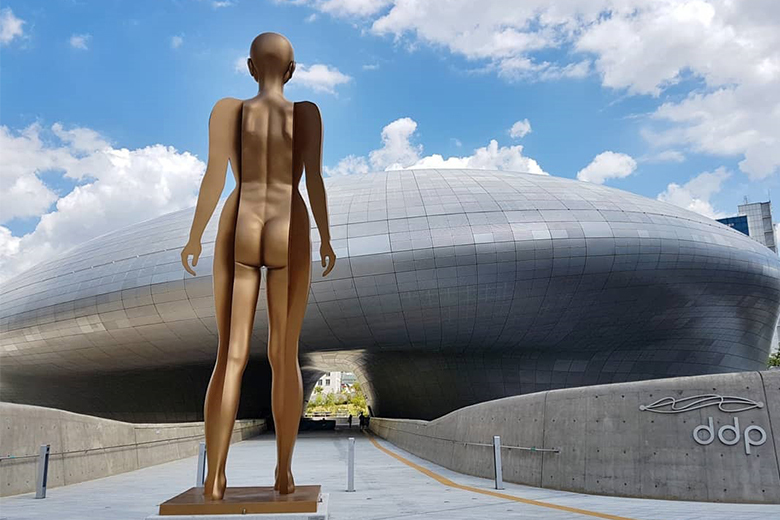 The futuristic building designed by renowned architect Zaha Hadid and is an extremely photogenic shooting location for many Korean dramas, such as “My Love From The Star” in 2013 and “She Was Pretty” in 2015. A tip for you guys, make sure to visit in the early evening for sunset and see the building all light up. Located at the North of Seoul is the famous Bukhansan National Park, a popular hiking spot among locals and tourists. Surrounded by wooded hills, the mountain is complete with hiking trails and temples hidden among the trees. 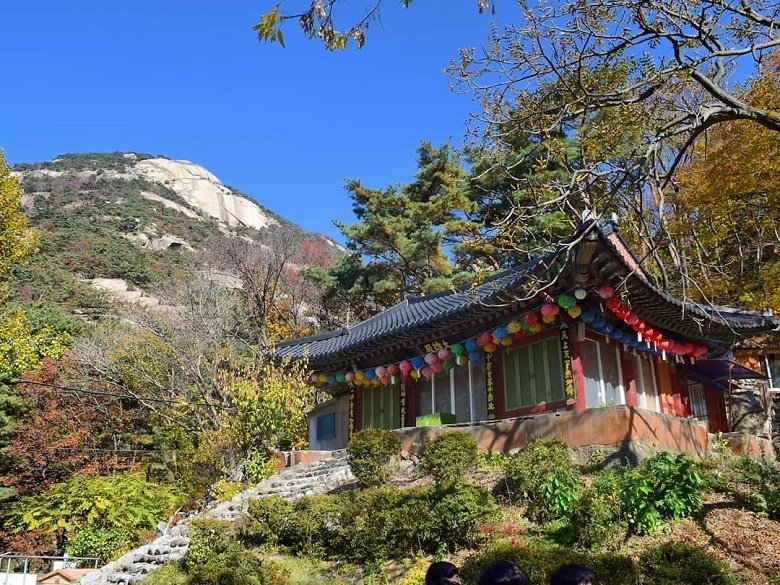 To get to the peak to enjoy the rewarding view, you can choose to hike over the Golden Buddha route or the Baegundae route. Namdaemun is one of Seoul’s oldest traditional markets with more than 600 years of history. 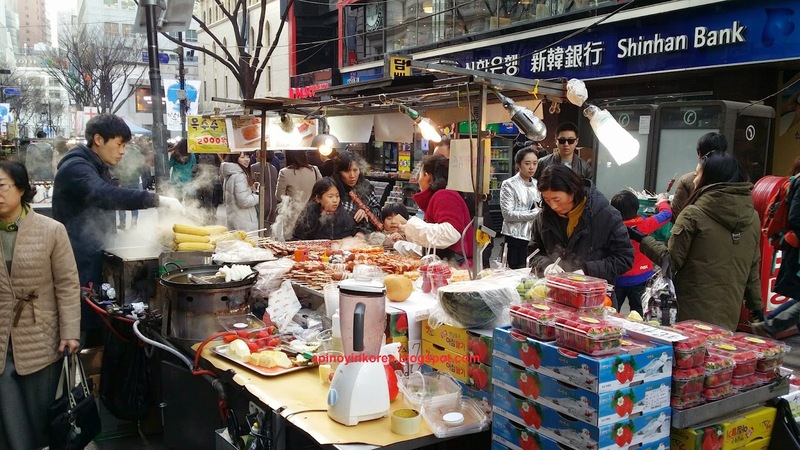 If you are hungry, a number of scrumptious street food stalls can be found just outside exit 5 of Hoehyeon Station. 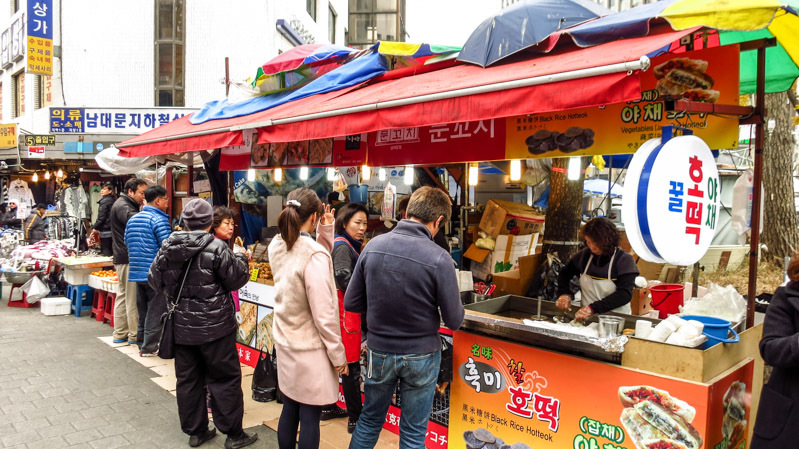 Many of these stalls sell authentic Korean street foods such as dumplings, noodles, and pan fried foods. Namdaemun also a great place for people watching and taking in Korean market culture. You don’t need to spend money at Namdaemun to have a good time. Alright, shopping isn’t exactly below RM34 for some people. 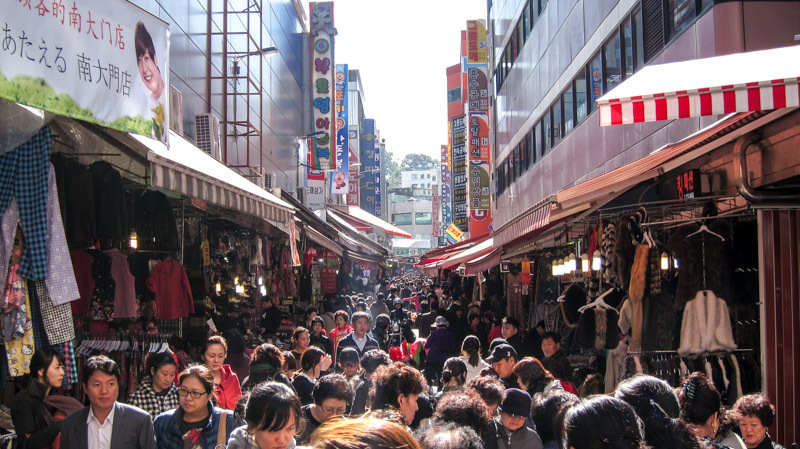 But there’s no trip to Seoul is complete without going to Myeongdong, the most popular shopping neighbourhood in Seoul. From the most updated Korean beauty products to fashion, there are all sorts of things at here. 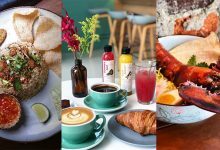 Even if you don’t like shopping, there are plenty of restaurants, street food stalls, dessert, and snacks.